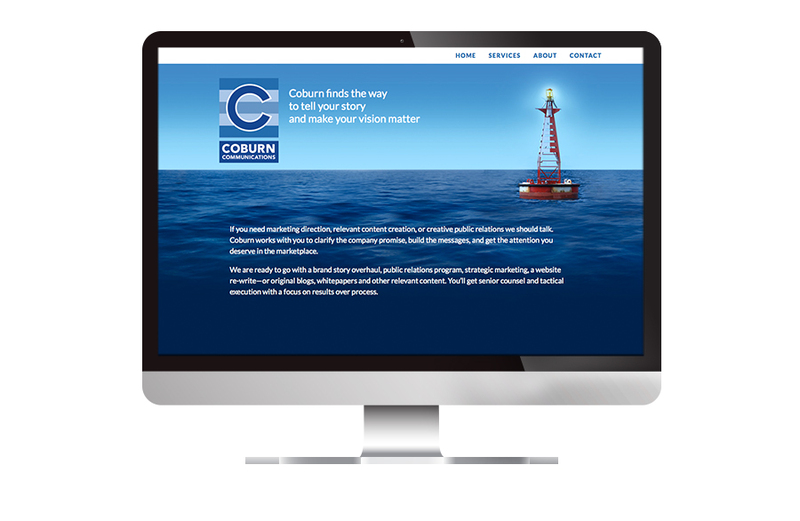 Coburn Communications was looking for a web presence that was graphically rich, and easy to access all of the content. We designed a one page site, created in WordPress, where all of the content is accessible from one page. 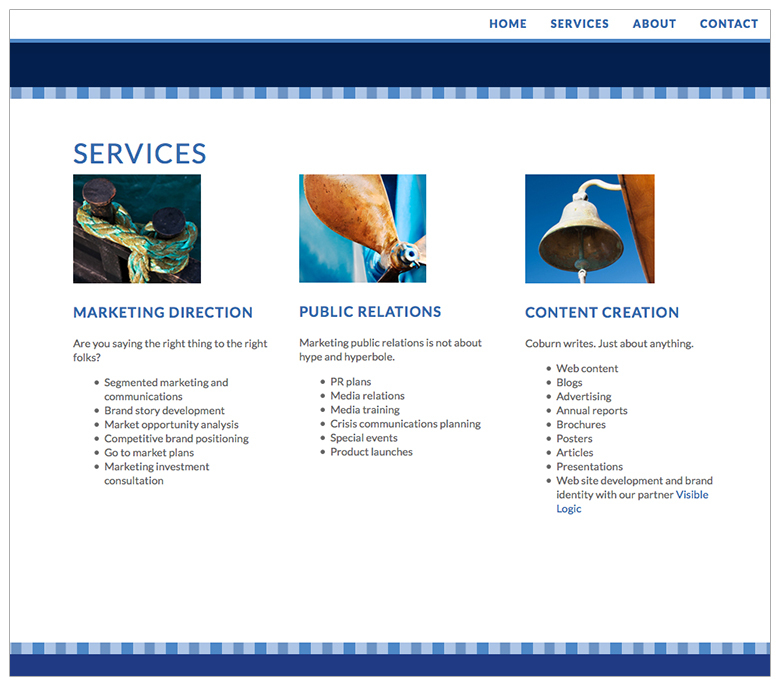 Like their logo, there was a nautical theme that ties in with this Maine-based business.